The new Spiced Pumpkin Nut cookie at Insomnia Cookies. Insomnia Cookies quickly went from a Penn student’s dorm room bakery experiment to the ultimate post-dinner guilty pleasure (or 3 a.m. snack) for everyone in Philadelphia and beyond, with more than 100 locations throughout the U.S.
Now, Insomnia will expand to even more new territory: pumpkin spice. 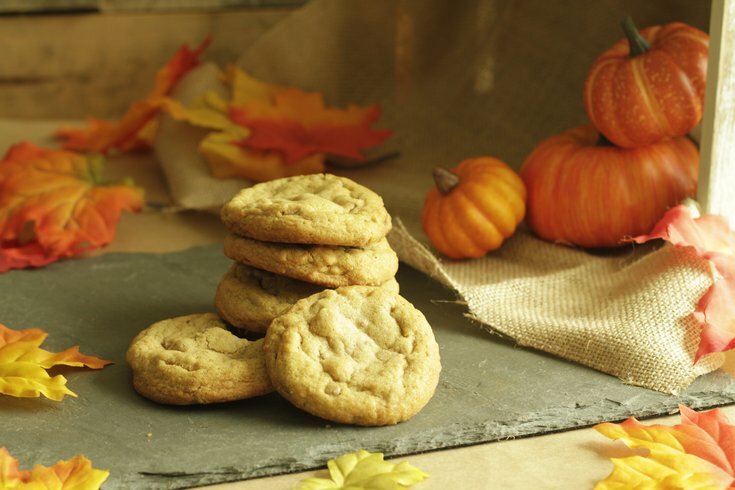 Starting Wednesday, Insomnia store locations will be selling and delivering the shop’s new Spiced Pumpkin Nut cookie, slated to sell throughout the season. You can expect the pumpkin-flavored dessert to include hints of cinnamon and pieces of roasted walnuts. This is the first time in Insomnia’s 14-year history it has offered the flavor; other past limited-edition flavors have included red velvet and lemon white chocolate chip. Bruton said the new flavor comes after a lot of requests from cookie fans on the hunt for pumpkin spice baked goods. If you’re familiar with Insomnia at all, then you know you can also make ice cream sandwiches with the shop’s ice cream flavors. Two warm pumpkin cookies sandwiching a helping of birthday cake flavor ice cream? Yes, please. Or better yet, opt for coffee ice cream and it’s like a pumpkin spice latte in dessert form.